You’re invited to join Freedom Project’s Community Circle which will meet 6-8 pm on the first and third Tuesdays of February 2014. We decided to switch to Tuesday evenings, so other Freedom Project volunteers (who often facilitate mindfulness classes inside prison on Monday evenings) can also join us. WHEN: The program will begin at 6 pm with mindfulness meditation, followed by personal check-in according to the format of Nonviolent Communication and any announcements. After requests, appreciation and announcements, the program will conclude promptly at 8 pm, so individuals in transitional housing can return prior to their 9 pm curfew. Thank you for respecting this time constraint. RSVP: Please let us know if you plan to attend or if you are interested, but not able to attend this Tuesday. We would appreciate hearing your feedback about Community Circles itself, as well as the location and timing of the meeting. This program is contingent on receiving affirmative RSVPs from at least 6 individuals. NOTE: Community Circle is a networking gathering of returnees who have been released from prison and other community members who meet to support each other in practicing Nonviolent Communication and mindfulness. 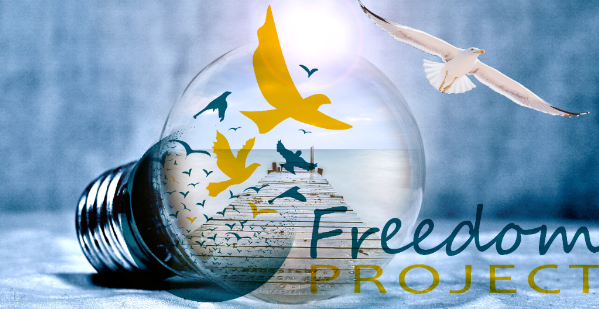 ← Freedom Project gives thanks.